What does it feel like to buy videos on Vimeo OTT? Here's what your customers experience, from clicking the "Buy" button, all the way to watching your videos in sparkling HD looks like. When you sign up to sell on Vimeo OTT, upload your videos, and create a Product, a checkout page is created. Every product on Vimeo OTT has a specific checkout page, where customers can preview the content, buy it, rent it (if enabled), purchase gifts for other people, and redeem coupon codes. The checkout page nicely highlights the video content for sale. There is a description of the content provided by the seller, and there is a Play Trailer button in the upper right to preview the trailer. Also, at the bottom of the checkout page, all of the videos available are listed, so the customer knows exactly what they're getting and if any subtitles are included. SUBSCRIBE - Users can subscribe to your subscription network and can stream your content anytime. They will be charged per month or per year (whichever they choose at checkout). Read more about Subscriptions on Vimeo OTT. BUY - Once the content is purchased, the customer can stream and watch forever. They now own the content. They can login to Vimeo OTT to view or download it anytime. PRE-ORDER - If the Product being sold is in pre-order mode, the customer will enter their credit card information, and will not be charged until the release of the content specified by the seller. Once the seller releases the content, the customer will receive an email and will be able to watch immediately. Read more on selling pre-orders. RENT - If you (the seller) have rentals enabled, once the customer starts watching, they have 72 hours to finish. On rentals, all downloads are disabled. Read more on enabling rentals. On the checkout form, the customer enters an email address and then confirms the email address. This is the email where the receipt and watch links will be sent. Customer enters credit card details: name on card, number, CVC code, expiration date, country, and postal code. If rentals are enabled, the customer will need to select if they are buying or renting and then click the Buy or Rent button. The payment will then process and when it completes, the receipt will load. The customer can then click the Login Now link on the receipt to finish creating their Vimeo OTT account. 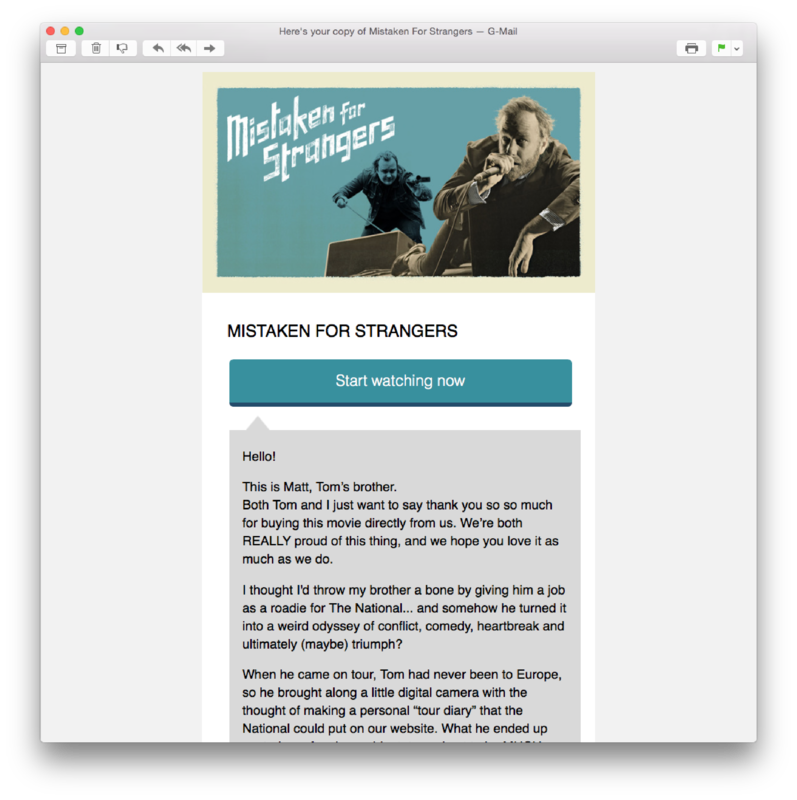 They have also received a receipt email from Vimeo OTT with a link to start watching. A nice feature of the checkout page is the gifting tool. If gifting is selected, the customer can enter a number of email addresses to gift the content to. They can also supply a short message to the recipient of the gift. 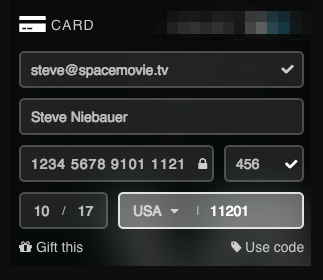 Once payment is complete, the recipient will receive an email to redeem the gift and can start watching. NOTE: If the gift is a preorder, the recipient will not be able to view the content until it's released by the seller. The checkout page also has a Use code field for entering coupon codes they may have received from the seller. Coupons can be a certain percentage discount, or can make the content totally free. Read more on creating coupons here: Coupons Overview. Once the customer clicks through to the watch page from the receipt, the video will auto-play on the page. Our video player uses adaptive streaming, meaning the load times are short, and the quality of the video will increase with internet speed. If the Product purchased has more than one video in it, the other videos are listed lower down the page to be played. If the content purchased has downloads enabled on the videos, there will be a download button within the player to download the different resolutions of the video to a computer to keep for later viewing. Rentals or Subscriptions do NOT have downloads enabled, and the viewer can only stream the content within the rental timeframe. 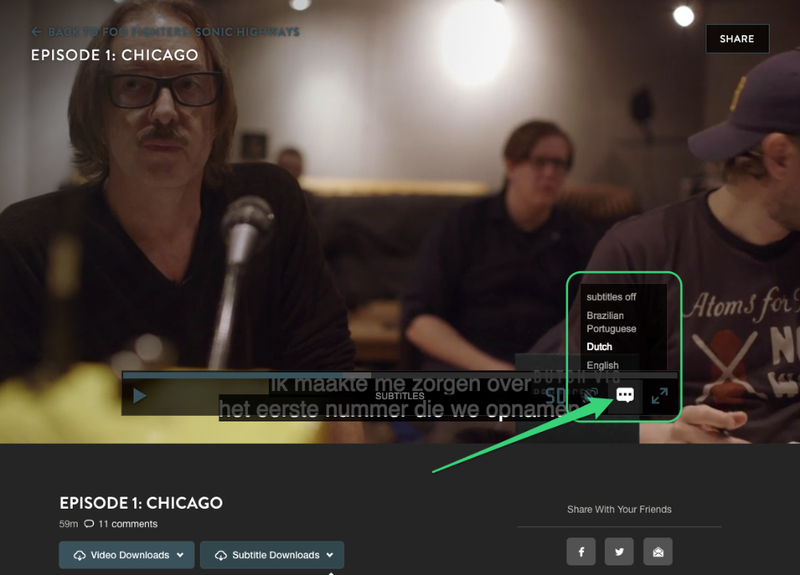 If the video has subtitles uploaded, the customer can select their language of choice from the subtitles dropdown. The subtitles will play along with the video right within the player. They can also be downloaded as an SRT file from the downloads dropdown. 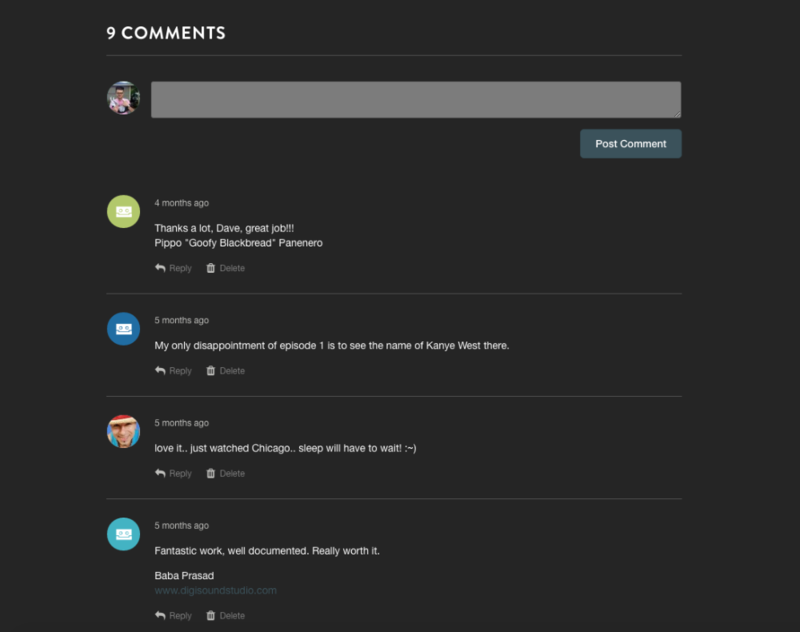 Every video's watch page has comments enabled to grow community engagement around the content. Anyone who has purchased can see all the comments and comment themselves. The seller will be notified of each comment left on the videos. As a seller, it's in your best interest to engage with the community in the comments section! Every video on Vimeo OTT has a handy little share button built in to the top right of the player. This means, the viewer can click on the icons for the below services to share what they are watching. Facebook - Sharing on Facebook creates a pre-filled share for the customer to post on their wall, displaying what they are watching on Vimeo OTT with a link to the content's homepage. Twitter - Sharing on Twitter creates a pre-filled tweet for the customer to send, displaying what they are watching on Vimeo OTT with a link to the content's homepage and an auto-loaded trailer of the content. Embed code - This copies the embed code of the content's trailer with a buy button that the customer can post on their own website to promote the work and drive sales. Once customers have purchased any content on Vimeo OTT, they will now have a Vimeo OTT library that contains all of their purchased content. They can log in to it and access their content at anytime. 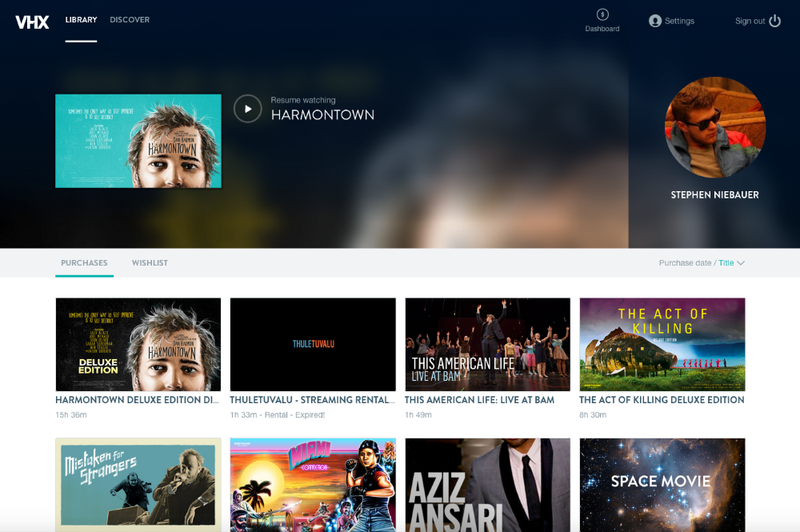 The Vimeo OTT purchase library lives at http://vhx.tv/library. Browser - The Vimeo OTT watch experience will work on most modern internet browsers on a computer. 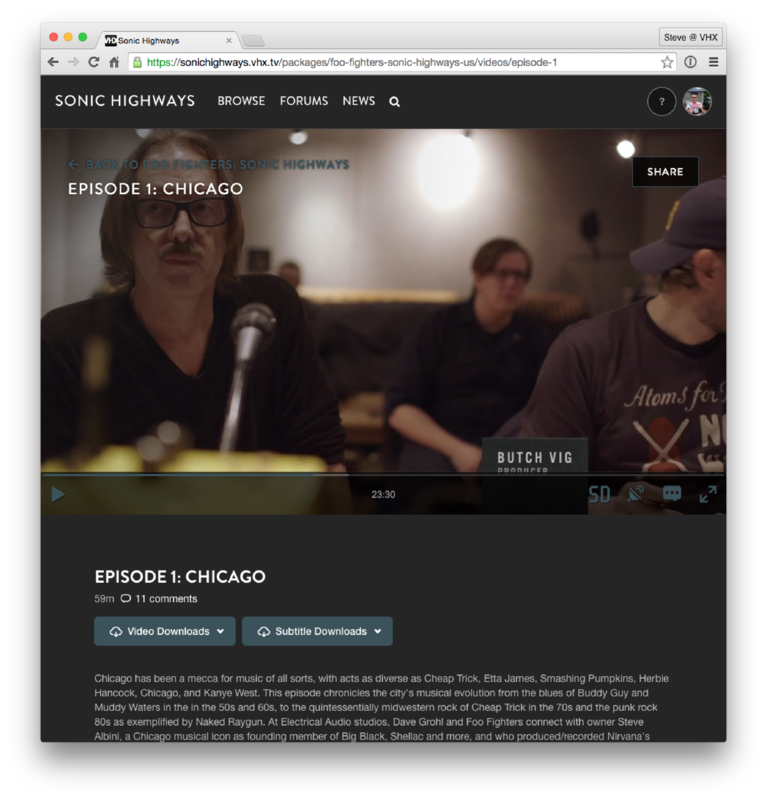 Customers can go to their library at http://vhx.tv/library to watch their purchased content.